Military precision is how I approach all elements of our trips and where we dine out in the evenings is never left to chance. Not until this time that is. I was more relaxed about that whole aspect of this holiday, we made no plans and I left it to Husband to decide where we should eat each night. He and I are at opposite ends of the organisational spectrum but in this instance, I have to admit, his more laid back personality and decide about an hour before we were due to go out approach did seem to work rather nicely. 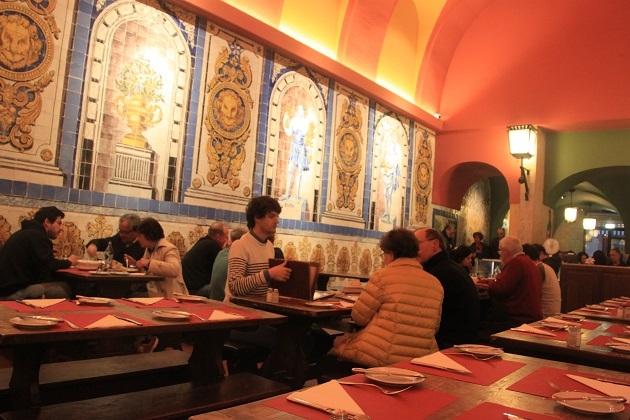 On our first evening in Lisbon we dined in a restaurant called Chefe Cordeiro, chosen mainly because it got some great reviews on Trip Advisor but also because it was not too far away from our hotel, just a short stroll to the Commerce Square. There are so many places to eat around here, it is hard to distinguish one from another and many have people outside with menus trying to entice you inside for their food – a guaranteed turn off. The laminated menus with pictures of the food are the final straw so it was incredibly refreshing to realise that just five minutes from all this hustle and bustle was an oasis of peace and tranquility – Chefe Cordeiro. It is right on the main square, a lovely setting and just a little way from the water. We called ahead and made a reservation, a little surprised when we got there to find as well as ourselves there were only three other parties dining here. That didn’t matter one bit, the atmosphere was lovely and relaxed. It is owned by a Portuguese chef called Jose Cordeiro, apparently he has another restaurant with a Michelin star in Belem. 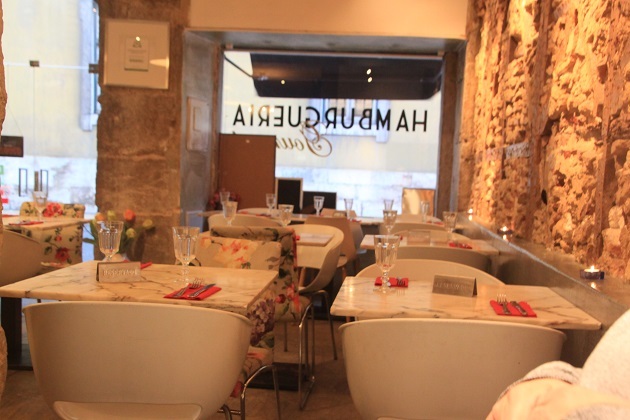 Here the interior was stylish and contemporary, the menu looked great with lots of choice – Portuguese style food with the chef’s own twist. Son went for chicken stuffed with sausage on sweet potato (somewhat adventurous for him) and Husband and I opted to share a T-Bone steak with salad and chips. Everything was beautifully presented, tasted delicious and the waiter was exceptional – friendly, helpful and very charming. 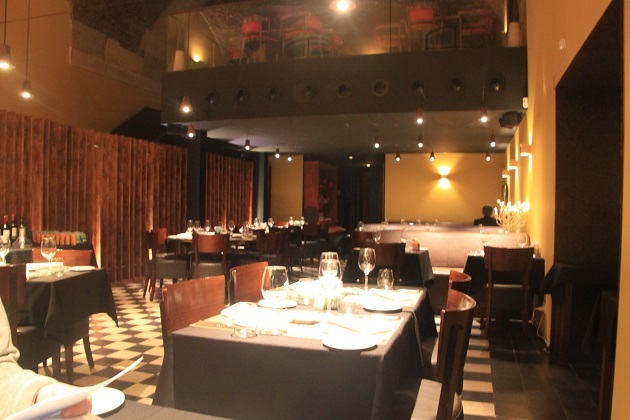 Formal and quiet, this was just the place to impress us on our first evening in Lisbon. 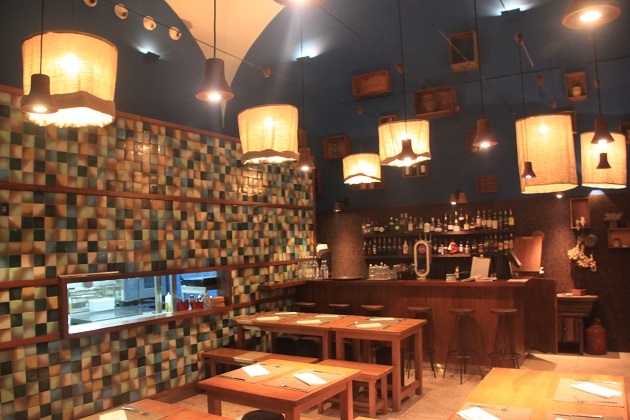 On our second night we dined in the Cervejaria Trindade. I had spotted a big advert for this place in the airport and then in the underground and was intrigued. A former 13th century convent, I rather liked the idea of dining in a place with such a big history. The original convent was built in 1294 but destroyed by the earthquake. In 1836 they built the first beer factory in Portugal on the site. We arrived early (by Portuguese standards) but found it to be quite full already. I liked the look of the place – a bit like a big beer hall with wall tiles and pictures of goddesses. The waiters were dressed as monks, our chap was surly and brusque to say the least but he was efficient at dealing with our order. The menu was reasonable but for both Husband and me, when we ordered our first two choices were not available. 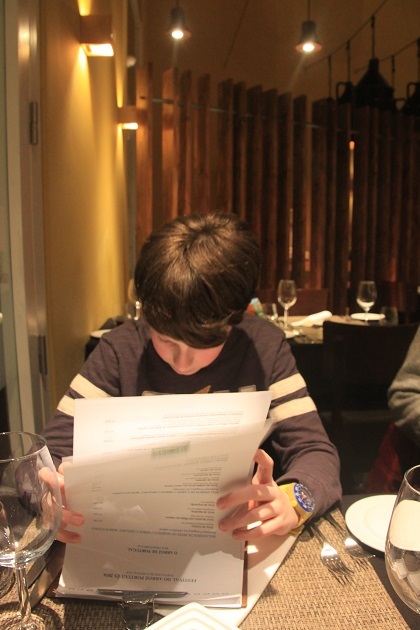 That left one steak dish and two fish dishes from the main courses – not exactly a lot of choice. Husband did enjoy his meal, I did not enjoy mine at all. Son had a bowl of watery soup which he liked but the whole experience was rather a let down. This is a touristy place with less than mediocre food and I would give it a miss. We did however find this wonderful book shop not too far away and next door a fantastic ice-cream parlour which presented our choices in the most beautiful way. This more than made up for any earlier disappointment. More success on our third night, Husband was again browsing Tripadvisor for recommendations and came across a burger restaurant – Cafe do Rio – which had great reviews. We don’t eat burgers very often, I definitely wasn’t planning on consuming them in Lisbon but when the weather took a turn for the worse with torrential rain and we discovered it was only a five minute dash from our hotel we went for it. Just off the main tourist drag in Baixa but down a side street, I loved the quirky and eclectic feel as soon as we walked inside. Not many tables, we arrived to an empty restaurant but it was full by the time we left. Staff were excellent and the menu had a large choice of burgers, all with different ingredients and all with organic meat. They don’t serve burger buns – I never eat mine so no problem with that – but Husband had no issue with portion size either. Instead of the bread you got an extra little burger on top. We enjoyed pots of homemade mayonnaise and ketchup they brought to the table. A different meal but very tasty and the friendliness of the staff topped an already great experience. Our last evening was spent at Pizzeria Lisboa. Owned by one of Portugal’s most well known chefs (Jose Avillez) – we’d never heard of him, he has five different sounding restaurants in Lisbon and one in Oporto. We totally loved it here. A laid back ambiance, the most lovely staff and so many mouth-wateringly delicious things on the menu. Husband picked a pizza, Son and I went for pasta and my oxtail gnocchi was just sublime. So reasonably priced and a lovely way to end our last evening in Lisbon. I enjoyed the food so much I totally forgot to take any pictures – that says it all. Oh and their desserts are out of this world too. So nice to see your dining options during your stay in Lisbon. I like oxtail especially in winter but haven’t eaten it for quite some time. Ice cream cones are a definite must for us on holiday, I love browsing all the different flavours before deciding which to have! 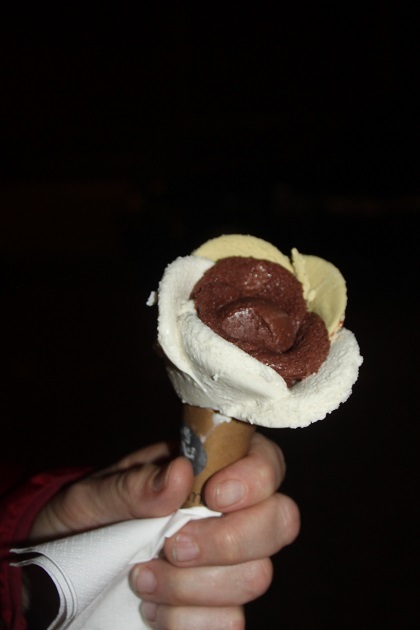 I’m not a big ice-cream lover here but when I’m abroad it is a whole different story!! I’m exactly the same! I rarely have an ice cream when I’m out and tubs of it seem to linger in our freezer for ages too. Joy, food plays such an important part of our travel and I am like you in planning ahead. It does appear that you had some good food and only one miss! I enjoyed reading about your meals! 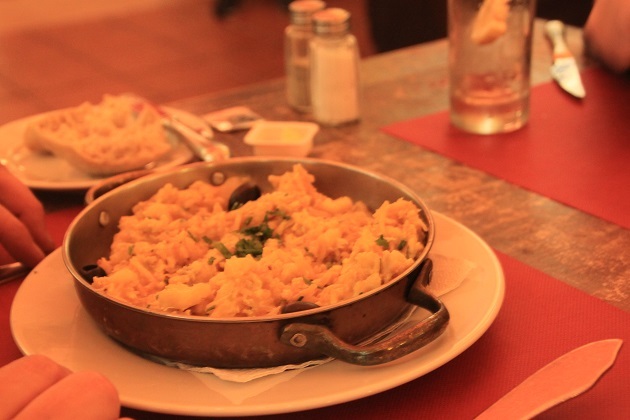 We did have some really great meals in Lisbon Pam for sure, even the “miss” was still a fun experience in interesting surroundings! Yeah, food is the ESSENCE of travel. 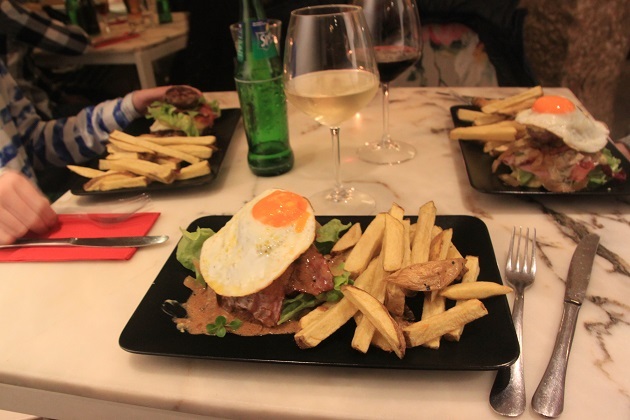 Thank you – trying different food and eating out while we travel is so much fun. Sorry you missed Bom Jardim. The absolute best chicken, dirt cheap. No ambience – paper tablecloths – but fast service. And I usually look for sardines when I’m in Lisbon, they’re so different from the ones in cans – big, juicy , crisp skin. I am kicking myself we missed out on Bom Jardin. I read about it (after we got back) and saw it on a TV travel program and it looked superb – right up our street, I love piri piri chicken at the best of times! I liked dining in Lisbon, but even better I liked drinking port. Absolutely – my husband would totally agree with that! It looks like you mostly experienced success from your experiment of freewheeling the dining a bit. Funnily enough, like you, I plan our travel to the nth degree – all research, spreadsheets of options, colour coded maps – but I don’t plan any of the eating out. We either do a quick google or look up sites like Trip Advisor or, in quieter places, we seek out where the locals are eating, away from the tourist traps. We just go out and wander usually – though I can see that might not be practical for families. I really like to do that too Anabel and we do seem to be veering towards that approach now that our son is getting a bit older. In Lisbon I have booked an apartment so we can do some self catering! That’s actually what we prefer – a mix of self catering and eating out. Self catering works best after visiting the local market! Haha I love how your husband is so different than you! I can totally relate because in our couple it’s the almost the same. I love to plan everything but him, he is very spontaneous. The only think I don’t plan is food because I want to keep my option open and you never know when you are hungry and where you will be really. Opposites attract is what they say – seems to be the case for us!! Not planning the food here did work really well, we used to be totally spontaneous before our son but then factoring him in became an issue and we had to get more organised. Now he’s a bit older the more relaxed approach is working again. We found some great places in Lisbon last minute. I can understand why you have to be a bit more organised with kids. But I suppose now he is a bit less fussy with food! Absolutely – and life is much easier! 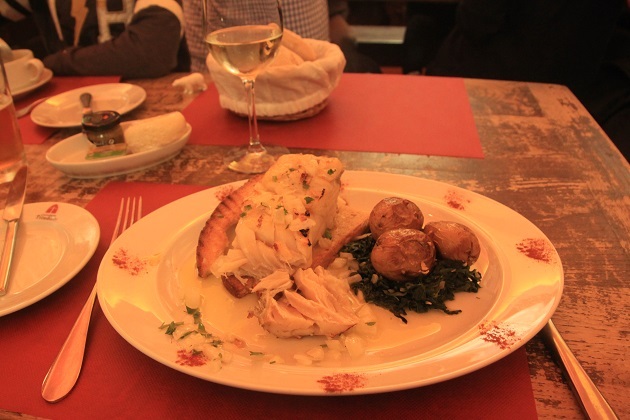 We really enjoyed our food while visiting Lisbon, and went with the fly by the seat of our pants method! I tend to want to plan and my husband likes to wander… Still, it ended up working out. Our favorite thing we ate was the Portuguese cheese! Yum – we enjoyed that too! Our wandering approach worked out well too – there are so many great places to eat in Lisbon though, I think as long as you avoid the tourist traps probably you can’t really go wrong. Very true George, the food wasn’t so good but the experience was still a lot of fun and that’s all that matters right! 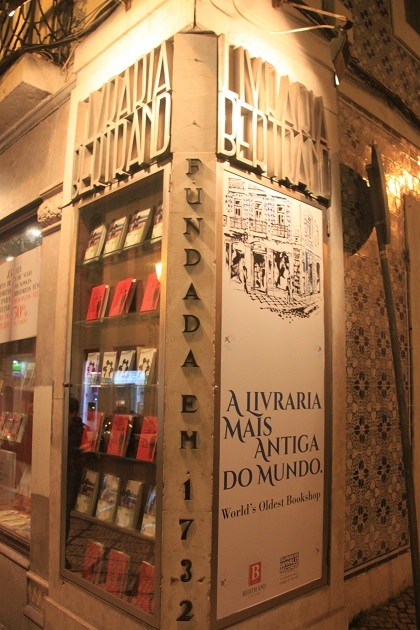 The post made my desire to go to Lisbon even stronger! It is a fantastic city – I want to go back already too! This is a very well written review and your article’s layout is immaculately professional. What’s more I admire your honesty on the previous restaurant; you critiqued its food in defense of your own experience. I will have to add such critique to some places I’ve been. 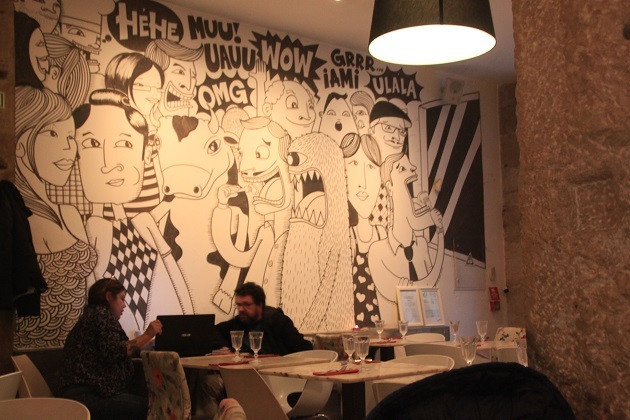 Wonderful review of some of the eateries on offer in Lisbon Joy! Great to have a personal perspective from a fellow blogger as even with Tripadvisor you never quite know if all the reviews are genuine or if someone is a “professional” complainer so to speak! The ice cream shop sounds just the tonic after a disappointing meal earlier! Tripadvisor used to be really spot on I think, but now like you say Rosemary you just never really know with these complainers who make a habit of negative reviews. We lucked out though in Lisbon, even though one meal was a bit disappointing it was still an experience and we did get those incredible ice creams!! I’ve heard of that kind of thing happening so much now with Tripadvisor Rosemary and it’s put me off too. I used to contribute a lot as well but would never post anything negative now and have even got out of the habit of putting positive reviews on. We do still use it though for ideas as well. Yes it’s a pity Joy but no one wants to court trouble for themselves. I even heard recently of a woman being sued for defamation for a negative Tripadvisor review – now there may be more to the story of course but it is the sort of thing that seems to be happening. We mainly use it for ideas and suggestions now too and occasionally I do a positive review if I really like a place or facility. Come India. ☺ You will find many recipes, monuments, beautiful palaces, temples, fairs, and much more to explore. We would love to visit India one day!